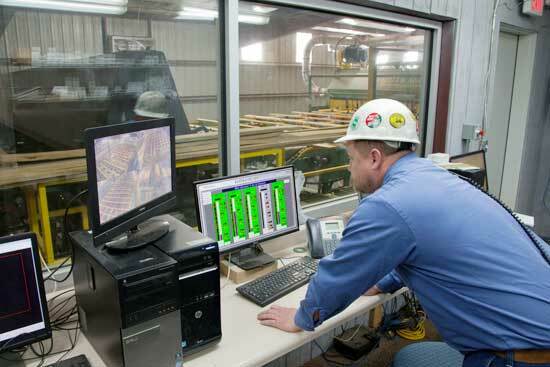 Dry Kiln, Grade & Sorting - Thompson Hardwoods, Inc.
Thompson Hardwoods, Inc. provides Dry Kiln Grade & Sorting services. 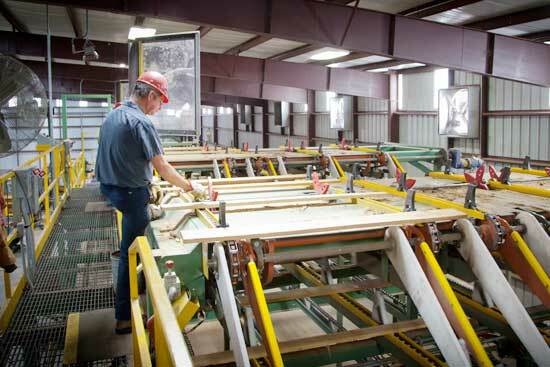 We process all Southern Hardwood and Cypress grade lumber through nine computer controlled schedule systems that operate low temperature dry kilns with a capacity of 845,000 board feet (BF). The Dry Kilns are supported by a capacity of 6,000,000 board feet (BF) of Air Dry yard plus 560,000 board feet (BF) of pre-dryer shed capacity. 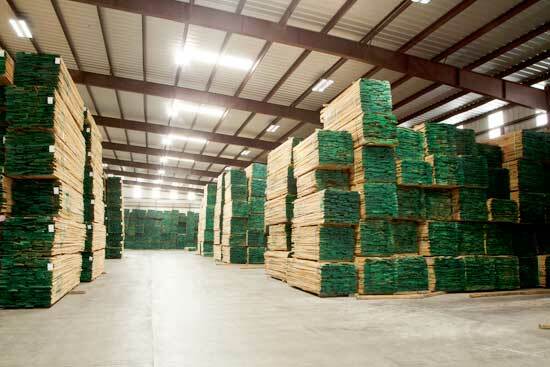 All kiln dried lumber is then graded by NHLA trained lumber inspectors through a 100 bay TS Manufacturing Drop Bin Sorter with a TS Manufacturing Odd/Even Trim Saw optimized by USNR to meet customer grade and width requirements. 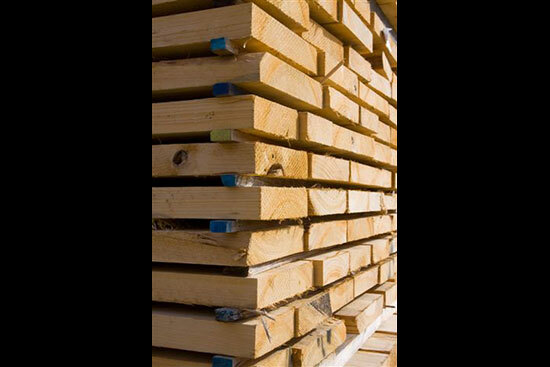 Finished packages are strapped and prepared with custom logs and end coats to meet domestic and export customer requests. 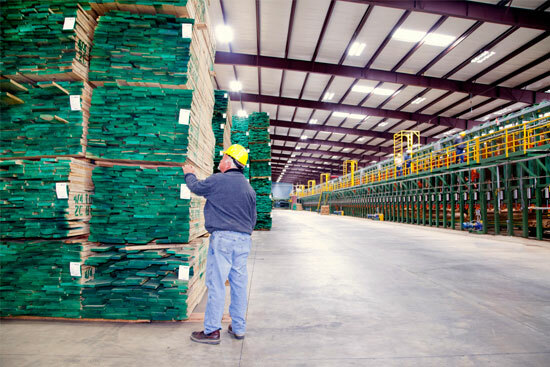 Thompson Hardwoods, Inc inventories an average of 112 Million Board Feet (MMBF) of kiln dried inventory on hand for immediate prompt shipment. 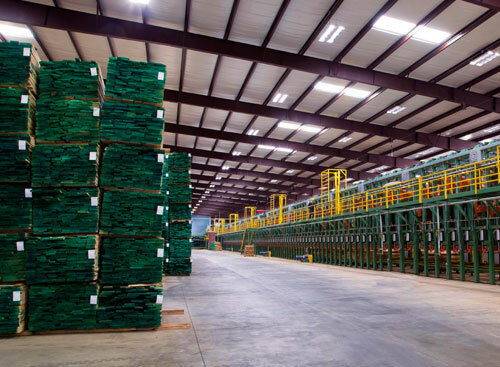 Contact Thompson Hardwoods, Inc. for more information about Souther Hardwood and Cypress Dry Kiln Grade & Sorting servicex.